This year Rebellion Roller Derby are competing in the Eastern division of the Heartland Series. 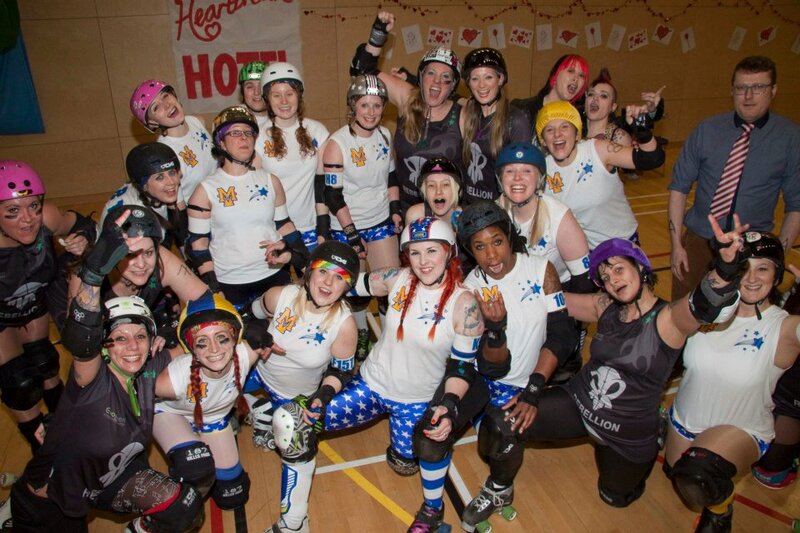 Today was the first bout, hosted by Mean Valley who were also the team that we were up against. We'd never played against the Mean Valley girls and didn't really know much about who we were up against, we had only heard that they were hard hitters. The odds were against us as we only had a team of eight, but we kept our hopes and spirits high, determined to do our very best and not worry about whether we won or lost. We skated out to Prince's Let's Go Crazy in memory of Karen. We stayed strong throughout, always working as a team and never gave the Mean Valley girls an easy ride. The final score was 230-149 to Mean Valley... we were very proud of ourselves for putting up such a fight in this challenging bout and believed we had worked as hard as we could and that our teamwork and team spirit was stronger than ever before.